For mile eaters. Durano is the right choice for high mileage purposes, because no other racing tyres last longer. At the same time the Dual Compound offers greater grip for training on wet winter roads. It has a proven RaceGuard protection belt. Hi Can These Be Easily Fitted To The Rims On My Boys Claud Butler Alpina 20" Kids Bike? These tyres should be okay on the rims supplied with that bike, but they are much narrower than the original ones that are supplied. 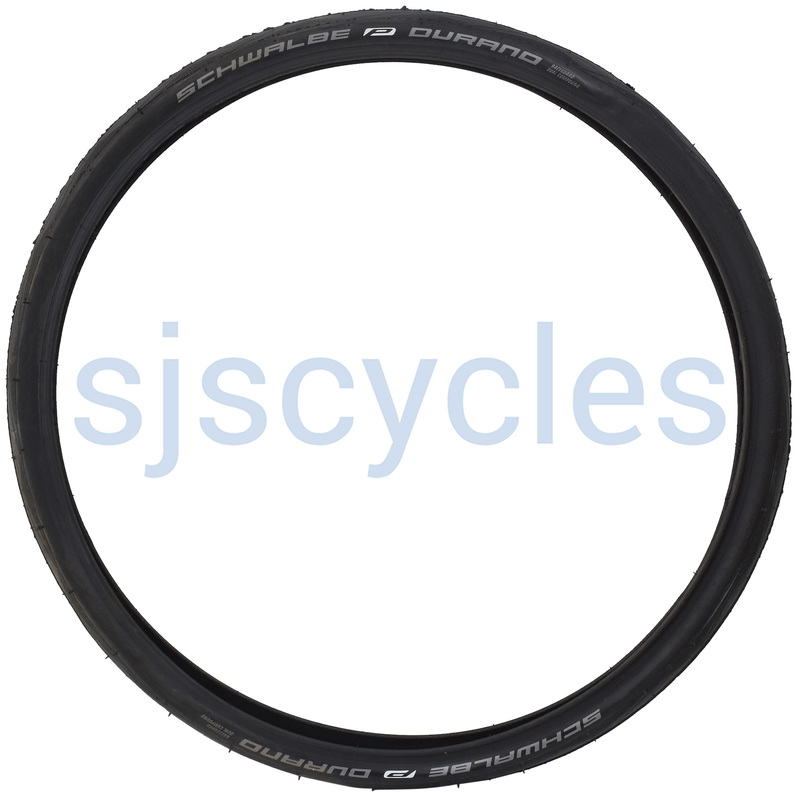 How Long Will A Durano Tyre Last In Storage As A Backup ? Schwalbe tires can be stored for up to 5 years without a problem. This is mostly down to how the tyres are stored. The manufacturer recommends a cool, dry and dark place. If fitted on a rim, tires should always be inflated or the bicycle should be hung up for storage. A bicycle left on flat tires for an extended period of time may damage the sidewalls of the tire.